Some 75,000 Mercedes-Benz cars could be recalled from UK driveways and dealerships after reports of them catching fire. A total of one million Mercedes cars are to be recalled globally after 51 fires have so far been caused by a fault with models including the 015-2017 C-Class and CLA models, 2016-2017 GLC models and 2017 E-Class models. 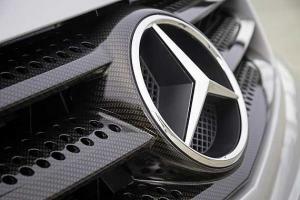 Daimler, the German auto maker that owns the Mercedes brand, has issued a fix order to manufacturing plants and to dealerships who are in the process of selling the affected models. There has also been a stop-sale on these vehicles, all on top of the million-unit recall. Although the US has been the largest market for the affected vehicles, a huge number were also sold to Germany and China, meaning that the recall is a truly global affair. In the UK, some 75,000 cars are affected and, as a result, many dealerships will have to spend money on fixing the problem before they are able to sell the vehicles to the public. Dealerships will also have to handle difficult questions from those who have recently driven away in an affected vehicle, only to find out that their car could catch fire. The fault itself has to do with the fuse in the affected models and Daimler says that under "unique conditions" the problem could cause fires to break out, presenting a safety risk. These unique conditions are thought to have involved a driver trying to restart a car repeatedly following the engine seizing up. In the US, the recall is thought to have affected some 300,000 cars already. Although the costs of undertaking fixes in these kinds of situations are usually reimbursed by the manufacturer, dealerships could still feel the financial strain of such a recall. Dealers should ensure that they have a comprehensive traders combined insurance policy that covers them for unforeseen costs from threats like fire, flood and criminal damage.